← What gets covered in science blogs? 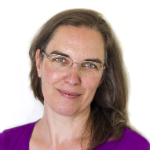 Dr Helen Kara has been an independent social researcher in social care and health since 1999, and is also Associate Research Fellow at the Third Sector Research Centre, University of Birmingham. She is on the Board of the UK’s Social Research Association, with lead responsibility for research ethics. She teaches research methods to practitioners and students, writes on research methods, and is author of the best-selling Research and Evaluation for Busy Practitioners (Policy Press 2012). Her next book, Creative Research Methods in the Social Sciences, is due for publication in April 2015. You can find her on Twitter at @DrHelenKara. Her ORCID is 0000-0001-7348-0963. Her blogpost title owes thanks to Patrick Ness. I finished writing my latest book last month. Two or three weeks before I actually finished, I realised I was dawdling. 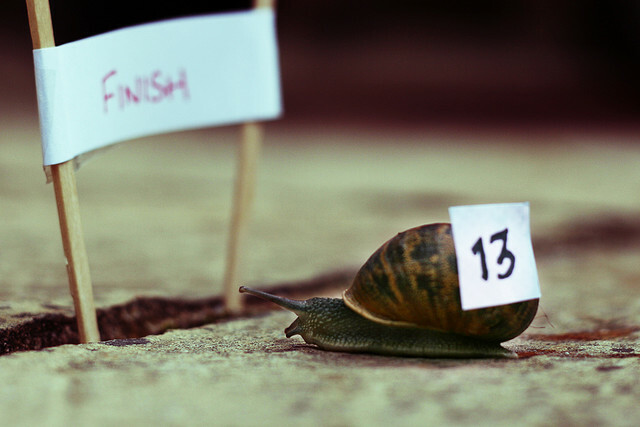 I usually speed up towards the end of a writing project in a one-woman race for the finish line. Not this time. I was fiddling and faffing, not quite procrastinating, but taking ages to think about minor points where I’d usually make quick decisions. What was going on? I did my Belbin Team Inventory years ago and I know I’m a ‘completer finisher’, i.e. someone who likes to get things done, dusted, ticked off the list. So, why was I finding it hard to let go now? That was the problem. I’ve written a number of non-fiction and fiction books (some have even been published) and numerous articles and short stories. I’ve never had trouble letting go of a writing project, but this time I did. I didn’t want to part with my precious typescript. I wanted to go on fiddling and faffing forever. Well, not actually forever, as my acerbic cerebral self liked to point out. But my waily emotional self was still protesting. Part of the problem was a bad case of impostor syndrome. I dealt with that problem, as I often do, by writing about it in the hope that that would help, which it did. But here I was, still fiddling and faffing. Difficulty letting go is, in a way, a great problem to have, because it’s a problem of success. My last research methods book and its associated short e-books are bestsellers, and it looks as if this next one could be a game-changer. Typescript reviewer Professor Laura Ellingson from Santa Clara University in the US has described it as ‘a ground-breaking work that will change how engaged scholars think about and practice research’. Which is what I wanted it to be. So, that’s great, right? And also terrifying. What if it’s not that good? What if I let everyone down? What if I fall flat on my face? I used hashtags #acwri (academic writing) and #tabit (there’s a blog in that). Some time later, Tseen Khoo (@tseenster) tweeted back to call my bluff on the #tabit, and here I am. Oddly enough, simply writing those 10 words on Twitter helped again. There is something very powerful, for me, about naming a problem. It often goes a long way towards a solution. In this case, it achieved a weird kind of trick that psychologists would probably understand, somehow separating the emotional difficulty from the physical process of finishing. Slowly, I began to rev up again, and finished in my usual end-of-book frenzy, ignoring emails and phone messages, reluctant to eat or sleep, as I pounded towards the tape. I think the idea of a finishing line, or point, contributes to the difficulty with ending because a book is never, ever, finished. It’s just done. They’re not the same. ‘Finished’ has connotations of completeness and perfection: “she finished it off with a smooth finish.” Yet no book is ever perfect or complete. Some short poems could be viewed as perfect, but anything longer than a couple of dozen words starts to create room for debate, which can be great fun if you like that sort of thing but effectively precludes perfection. As for complete…well, my book could never be complete because it addresses the fast-moving and ever-expanding field of creative research methods. In theory, the book could have been complete at the time of writing, but it would need to have been several hundred thousand words long, which wasn’t feasible from anyone’s point of view. When you’re writing something, you eventually have to stop. There is something of an art to knowing when a piece of work is done. Some people really struggle with this, like New Zealand author Keri Hulme, who spent 12 years working on The Bone People (which in my opinion is about as close to a perfect novel as it’s possible to get). I’m not the only one who thinks so: she won the Booker Prize for it in 1985. She hasn’t finished another book since. I suspect she’s been mortally wounded by the knife of never letting go. One of the keys to knowing when a piece of work is done, for me, is the final read-aloud. I read the whole of my book out loud: that’s approximately 75,000 words, not including the bibliography. It’s amazing how many glitches, typos, and clunky sentences I pick up during this process, in text I have already been over many times. Also? It hurts! This stage is a real reminder that writing is not just a cerebral but also a physical process. My hunched shoulders ache with tension; my head throbs from concentration; my hands and wrists are sore from hammering the keyboard; my throat is raw, my voice hoarse, and my stomach clenched in anticipation of the finish. Eventually, even though I know I could still make minor improvements, I just have to decide that the book is done. If I don’t want to spend years and years making it almost perfect (and I don’t) then I have to settle for good enough. After I’d emailed the typescript to the publisher, I was still thinking of more tweaks… it can be truly hard to stop. But I know it takes a team to make a book, and I need to let others work on it now. I’ve already had very helpful input from other people at earlier stages – my commissioning editor, proposal reviewers, and first draft typescript reviewers – and now the copy editor, the production team, and the indexer have to have a chance to do their parts, too. Also, if I never stopped working on the book, I could never have the wonderful launch party I’m looking forward to next spring. Now that’s a great incentive!